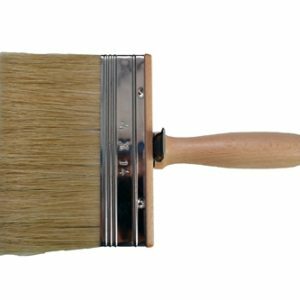 A mildew resistant and water repellent, highly durable and breathable mineral-based exterior silicate wall paint. 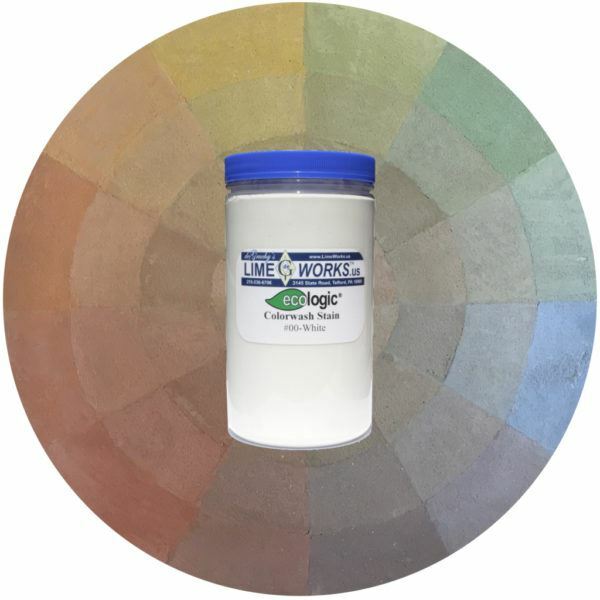 Mineral paints and stains chemically bond to all forms of masonry substrates such as brick, stone, mortar, stucco and cement. Unlike latex paints, they are non film-forming which creates a permanent bond that works in harmony with the masonry. A translucent potassium silicate stain that allows the masonry texture to come through the finish. These products must not freeze during warehousing or transport, and may limit availability during certain times of the year. Please call for availability. Portridge Kitchen "Whitewash" Project We approached the Lime Works staff about creating a scrubbed-worn white wash effect on the brick walls of our 1764 Portridge Plantation basement kitchen. Starting with a photo we sent of the Bacon Castle kitchen in Virginia, they custom blended a rather diaphanous looking white stain which we used as an undercoat. Over this, we used the pure white lime paint leaving some areas partially covered. We are very satisfied with the results. 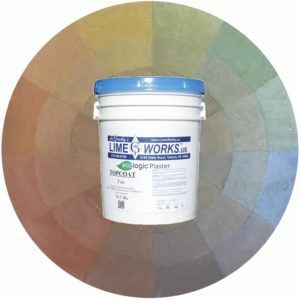 The Lime Works products are a joy to use because of their non toxicity and ease of application. We also noticed how luminescent the walls look, giving us a wonderfully bright, light filled room which previously had been so depressingly dark. 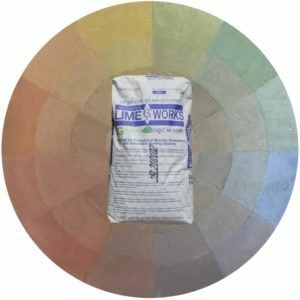 We plan to continue using Lime Works products in other areas of our historic home.